Product prices and availability are accurate as of 2019-04-23 00:34:03 UTC and are subject to change. Any price and availability information displayed on http://www.amazon.com/ at the time of purchase will apply to the purchase of this product. 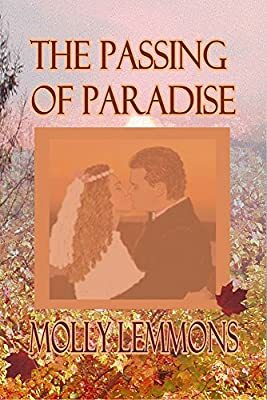 Wings ePress are presently presenting the extremeley popular The Passing of Paradise at a great price. Don't miss out - purchase the The Passing of Paradise here today! The Passing of Paradise takes readers from the bliss of love to the abuse of a spouse. Written with compassion and Christian insights, this story examines a difficult situation in the light of the Word of God. Kendra’s unsophisticated innocence will touch readers’ hearts. The author has dramatically contrasted the good and the evil. Eloquent writing and well-defined characters take this issue to the minds of readers, as they wonder what Kendra will decide. God’s Word on the subject of marriage is quoted and discussed in the context of the story. There are a series of twists and turns that will alternately surprise and shock readers. An interesting touch was setting the story in the 1950’s. There were more taboos against divorce during that time, which made it an even more difficult decision. The Passing of Paradise was a well-written book about an often unspoken sin.